The end of the fiscal year of 2016-17 brought a novel taxation scheme in the UAE and Saudi Arabia – VAT. The VAT or Value Added Tax changed the way enterprises of all types and scales worked as far as accounting and finance management is concerned. 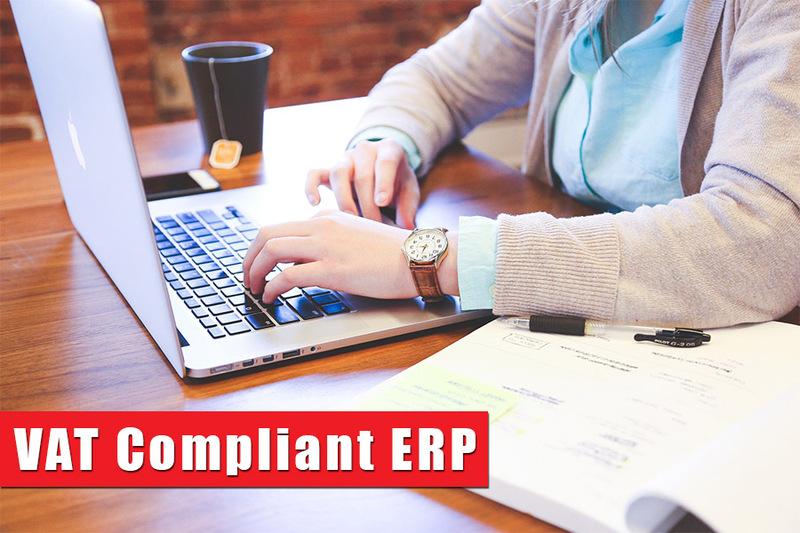 The invoicing; inventory management; investment and asset planning and billings of all kinds experienced changes and the need of the software automation that could do all the work effortlessly was felt; the result being the VAT compliant ERP Software. Though lots of software was whipped up in a small time; the list of highly effective, secure, simple, scalable, accurate, and adaptable VAT Ready Software with language translation functionality is very short. Axolon ERP offers the Best VAT Software in UAE that comes with all kinds of functionalities for account management and overall enterprise planning. Find more about the VAT Compliant ERP software from Axolon and is being used in Africa, Oman, Bahrain, UAE and Iran. The VAT Ready Software from Axolon is the full-fledged ERP software that lets you manage your enterprise and accounts in the best possible manner. It is easy to use and thus requires minimum or zero training time for usage by the employees. You can easily customize the software as per your requirements. The software is adaptable and scalable. You can manage the current scenario as well as plan your future business with it. Changing the document format as per the requirement; report formatting; invoicing and billings of all the other kinds can be done as per the user preferences. Our legacy comprises of happy testimonials that speak of our unparalleled customer support and maintenance as well as the efficiency of the product in handling all kinds of day to day business processes. What can the VAT ERP UAE Software accomplish? It is armed with powerful VAT enabled financial and accounting features to keep all the accounting problems at bay. Understanding the Sales and Customer variables of your business and managing all the other entities related to the same is something it can accomplish with ease. Allows your project teams to control all kinds of project parameters and goals effectively and efficiently; our VAT Ready Software is a multi-tasking professional. It can effectively connect your retail store and head quarter with integrated POS solutions. Inventory management, Vendor Management, understanding and managing the Supply Chain to make the purchase an informed and intelligent decision are local or imported – it can handle everything and anything. Axolon is reputed VAT Software in UAE that also offers a highly effective, efficient and customizable CRM solution for lead management and customer management that boosts your sales. With Axolon ERP Software at your disposal, you can manage your inventory located at different locations as well. Factory management and controlling of manufacturing processes can be done. Management of human resources and payroll administration can be done easily with the integrated features present in the software. 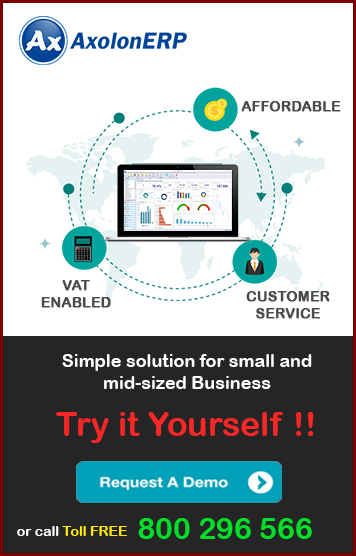 Axolon thus provides a fool-proof VAT Ready Software that can deal with and handle all kinds of ERP needs of your firm irrespective of its scale and type. We believe in consistent dynamism to handle the ever-changing market scenarios and enterprise requirements without the loss of quality. Because HR ERP Software that is cumbersome, requires training and cannot offer an easy adaptation for the accomplishment of all requirements is of no use as far as the modern work environment is concerned. The countries where the VAT has been recently introduced have a large proportion of dealers and businessmen that don’t understand all the terms and conditions of this taxation scheme. This is why it is utterly important to have some software that can handle all the technicalities on its own and provide an Enterprise Solution to cater to all kinds of financial, accounting, customer, sales and inventory management. Further, the VAT Ready ERP Software should be easy to operate and secure as well. The manual involvement should be limited to entering the names, dates, pricing, and number of items etc. Find more about the VAT Enabled Software by Axolon at www.axolonerp.com. THANKS FOR SHARING VALUABLE INFORMATION. GREAT ARTICLE.